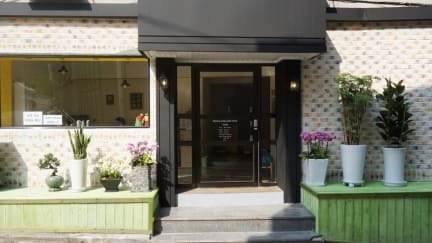 Myeongdong Guesthouse COMO i Seoul, Sydkorea: Reservér nu! COMO Guesthouse is accredited by the agency as a “good stay ” Guesthouse. COMO means 'beautiful, comfortable' in Italian. COMO hopes to become an open space where tourists from all around the world share their unique cultures and Korean experiences. It also provides a comfortable environment in the shopping center of Seoul Myeongdong. In COMO Guesthouse, the superior service and facilities make for an unforgetable stay. In addition, all rooms feature a variety of comforts such as high quality bedding, cable TV and air conditioner. Complimentary wireless Internet access is available to keep you connected. Private bathrooms with showers come with complimentary toiletries and hairdryers. 2. Both cash (KRW) and credit card (Visa, Master, American Express, Union Pay, JCB) are accepted upon arrival.